It's Not Work, It's Gardening! 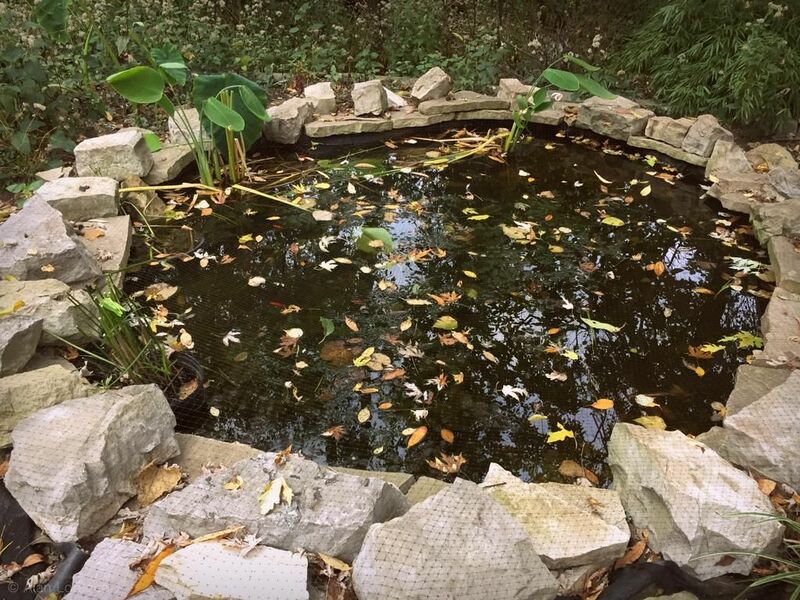 : My Easiest Pond Protection Ever! So in past years this was a task that was not fun and took at least 30 minutes or more. Plus it wasn't reliable. I did this a few years ago and it was fairly effective, but this year it's working even better since there is less room for the netting to sag. 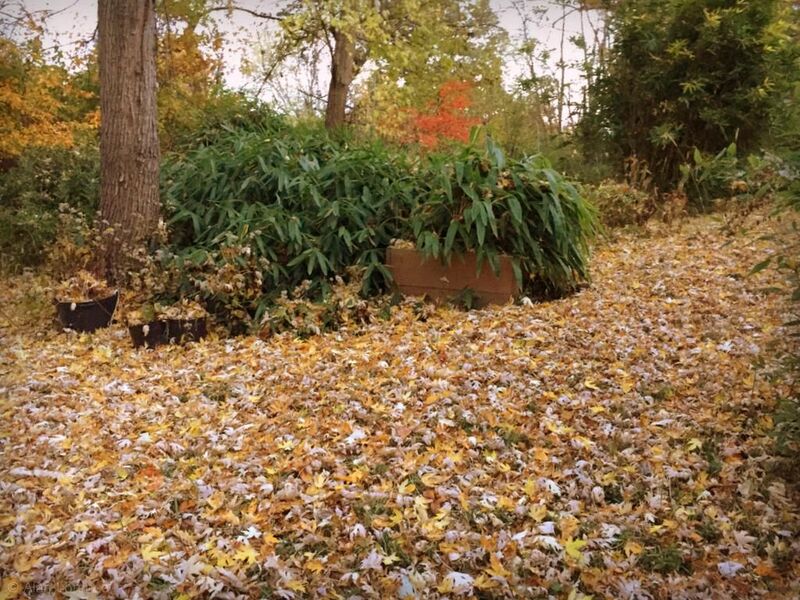 Once they've all dropped and I've raked a bit I can pull the netting off -- which is going to be much easier now too. 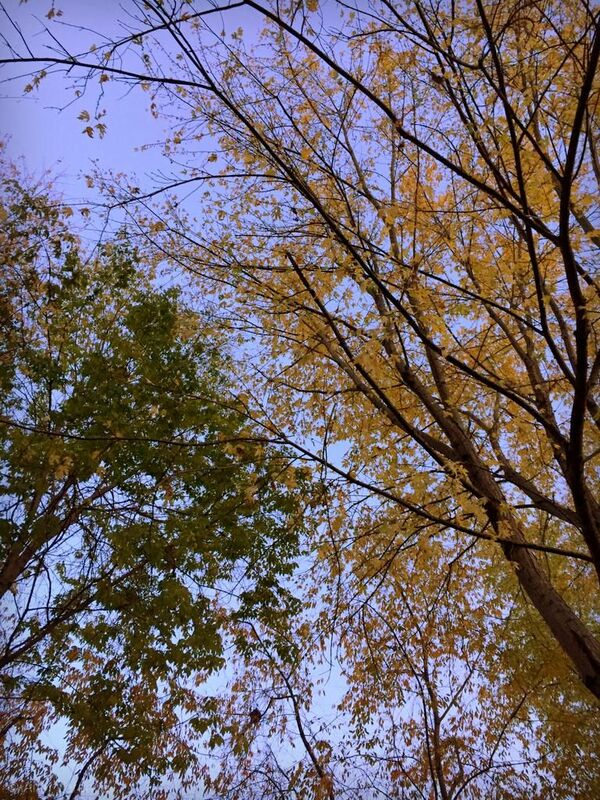 Keeping the leaves out was always a chore, but this year it was almost fun! It’s nice isn’t it when you finally figure out an easy yet very effective solution? 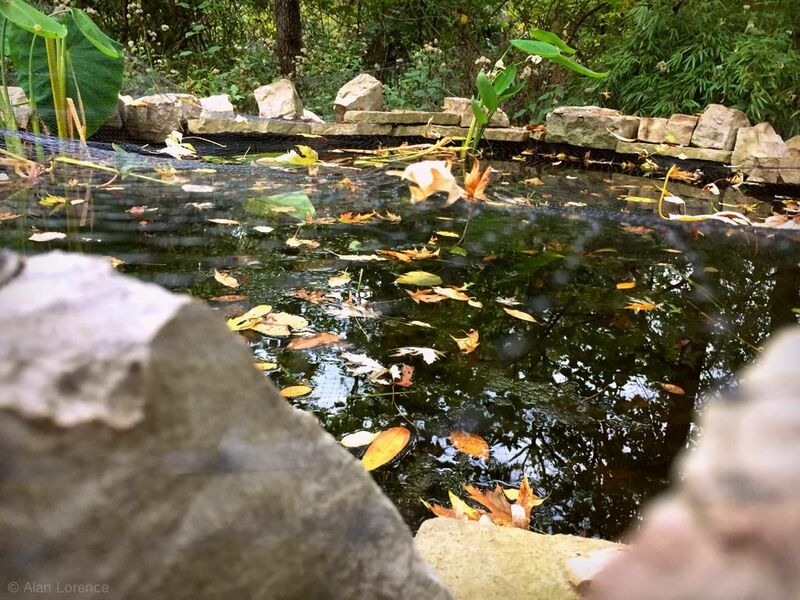 So bigger isn't always better, and a smaller pond seem to have its benefit. Smaller is definitely better in this case -- so much easier to deal with! 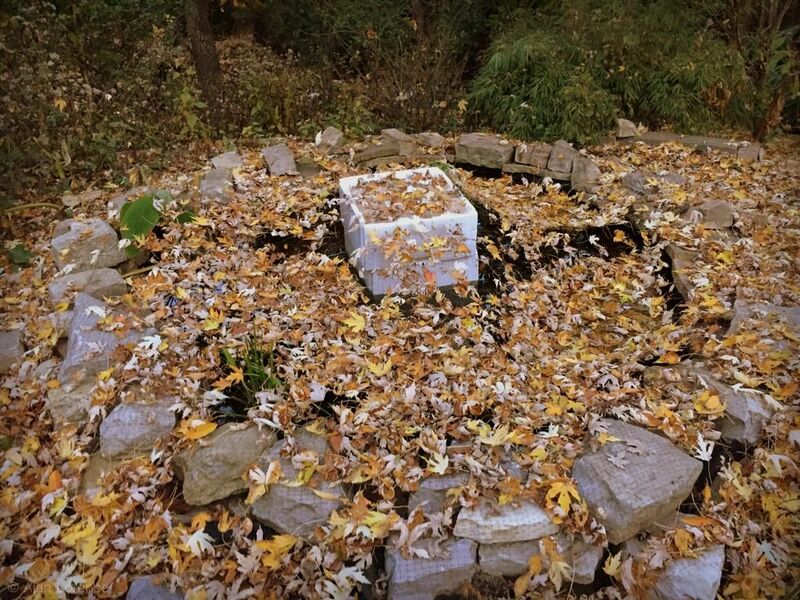 Your solution is great and I may steal the idea as I have to skim leaves from my pond every day.